Work for Spiceworks Network Mapping? Learning about Spiceworks Network Mapping? I like the dynamic display options for the network map. I like that you can customize icons used in the map, as well as the ability to easily re-arrange the items on the map, so that they are organized the way you want, while maintaining mappings and relationships. I wish we could be a bit more flexible with the map display. I would like to be able to color-code network subnets. Being able to pull diagnostic or performance metrics from the network map would be helpful. -I envision the network map showing me where there are bottlenecks in the network flow, or protocol tracing and diagnostics. I recommend being smart about when network scans take place. When I came on board, there were a lot of issues, because the previous team thought running the scans after-hours was all the consideration they needed. This disrupted the many backup operations taking place at the same time. After splitting up the network scans and workstation backups, we stopped having those issues. I have been able to catch misconfigurations in the network infrastructure that lead to improper routing. The network mapping also allows me to see other connections being made by nodes, so that we can identify connections that should not be open. "Excellent software with good services." It has very low prices. This platform is ideal for medium and small businesses. It has a web interface that is very easy to use, with easy integration and great performance. It could be a little easier to delete and erase data. One system at a time can be annoying. Spiceworks has been a good solution for our users, with an easy and adequate implementation. It has low prices that are very helpful for companies that are starting in the market. It has its generic ticket system. This support service solution is frequently linked to the company, the help desk ticket software is really good. This application also allows us to analyze, control and improve the performance of the IT HelpDesk team. It's good to see the network and see when the network is done. * We monitor all Spiceworks Network Mapping reviews to prevent fraudulent reviews and keep review quality high. We do not post reviews by company employees or direct competitors. Validated reviews require the user to submit a screenshot of the product containing their user ID, in order to verify a user is an actual user of the product. Hi there! 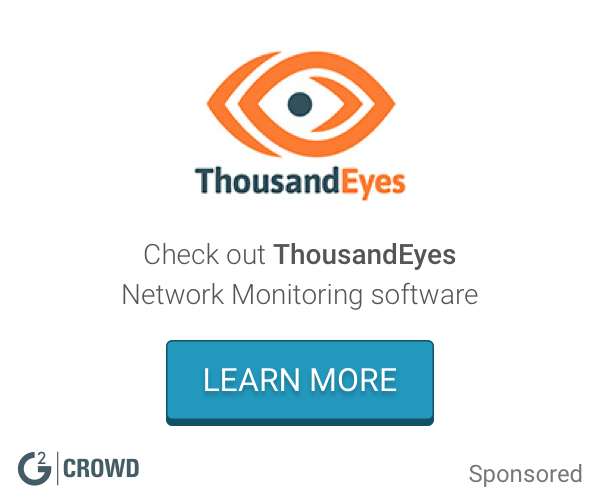 Are you looking to implement a solution like Spiceworks Network Mapping?